For the last 23 years, Exavision has supported its customers in video exploration, investigations in extreme situations and in the protection of goods and individuals in sensitive areas and harsh environments. We design and manufacture advanced optronic systems resistant to high-pressure (100 bars), extreme temperatures (-30°C / +400°C), shocks and vibrations, which can be used in short, medium and long range observation and surveillance applications. Our innovative and customised solutions allow end users to visualise harsh and strategic environments day-and-night in order to secure sensitive areas or launch the intervention of deployment forces (autonomous sensors).To take up these challenges our skilled teams of engineers and technicians have developed a technological know-how in optronics and mechatronics, but also in digital processing software to make our products fully operational and user-friendly. SPYBOWL is an autonomous 360°-view audio and video sensor made to support homeland security operations. Thanks to an extreme miniaturisation of its electronic and rugged mechanical structure, it can be hand-shouted up to 6m high and 30m long, and transmits instantaneously by radio and without any panoramic movement, audio and video checking before intervention (building, corridor, office, etc.). It is a security tool for your special forces. The whole system comes with a rugged laptop for display and controls, data acquisition and video process software. 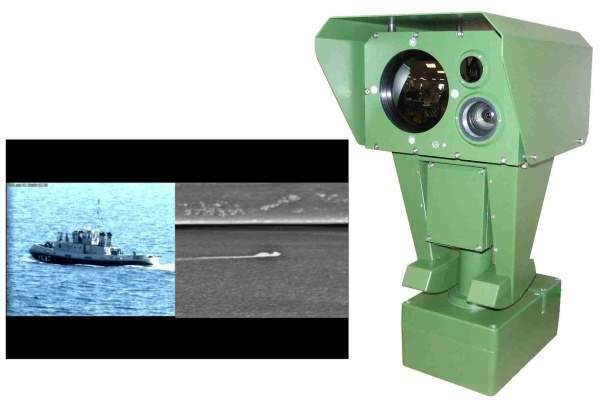 Since 2006, Exavision has developed a targeting cameras range to equip navy frigates, FREMM multipurpose frigates, naval remotely operated pan and tilt or ground vehicles. On special request Exavision designs and produces high-level targeting cameras, tailored to suit the harshest environmental conditions. 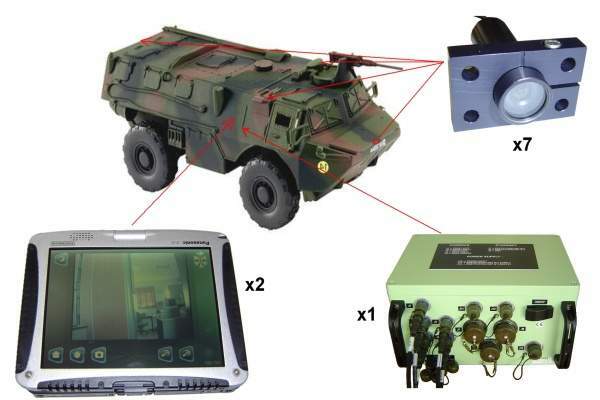 The Digiscope-360 is designed to equip a vehicle to operate in rugged environments. It facilitates the steering of the vehicle, especially during manoeuvres, and safely provides peripheral vision of the environment to the operator and passenger. This equipment has already been selected for the protection of military camps in Afghanistan, EDF’s nuclear electricity stations and onboard the US Coast Guard interceptor boats. Our products perform reliable, nonstop surveillance with the capacity to recognise and identify a human target within 400m in range. 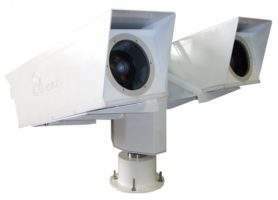 The Omnicam long-range modular solution is designed to provide long-range, constant surveillance for highly-sensitive infrastructure protection to places like petrochemical and nuclear industries, border and coastal areas. This electro-optical system includes radar and software packages that enable recognition, identification and automatic target-tracking up to a maximum of several kilometres in distance in day-and-night conditions.